This is my third UI mod (after Better Trade Screen and More Lenses). The main purpose is similiar to the other two, to add Quality of Life features and improve the Civlization VI UI. Here the Espionage Screens are overhauled to reduce the number of clicks and find the right information quickly. Allows you to filter the cities based on their districts. 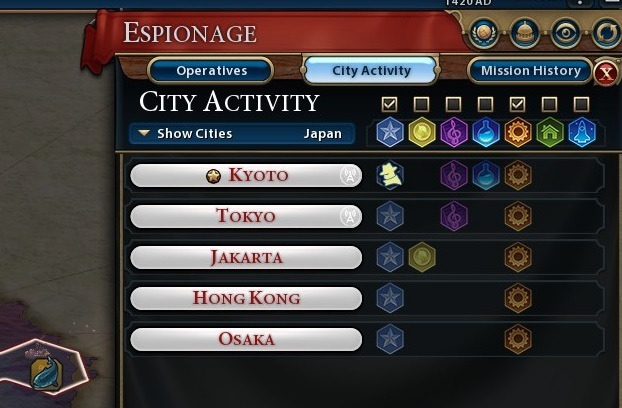 So for example you wanted to select a city with Spaceport and Industrial Disctrict, check both their respective checkboxes, and any cities that do not have those districts will be hidden. 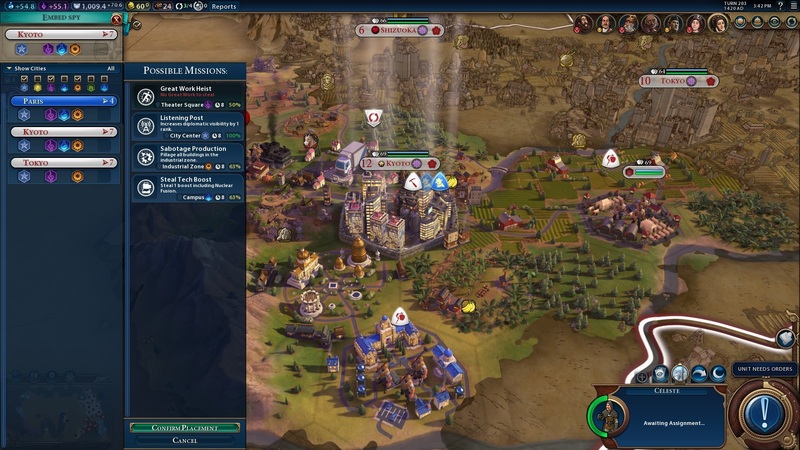 You can also filter based on civilizations. Holding CTRL while checking a box, deselects all other boxes. Mission list is shown as a side screen, rather than replacing the destination list.